Postgraduate course in Entrepreneurship for Master students or junior professionals, in partnership with MIP Politecnico di Milano. Learn how to develop a new business idea, from the concept design to execution. By the end of this Advanced Master, you will be able to acquire the capability to foresee and understand technology and market changes from their inception, introduce and manage innovations both cost-effectively and sustainably, identify new market and social opportunities for new and existing businesses, assess the costs and risks associated to new technologies and new markets. MIP and Solvay are two top global business schools accredited by EQUIS and AMBA. They are ranked by the Financial Times among the best business schools in Europe and have been recognized as prestigious business schools for decades. MIP and Solvay operate on full scale university campus where you will enjoy real student life and constant, enriching connections with the business world. Develop your leadership, managerial, organizational and decision-making skills, learn how to think and act as an entrepreneur and an innovative leader and become more prepared and self-confident to face recruiters or to launch your own project. Experience our teaching methods which are very hands-on and participant-centred. Courses are mainly structured into real case studies, design and experimentation labs, simulations, presentations, group work, field projects and exposure to mentorship and corporate projects. The faculty comprises Solvay, MIP and ULB professors bringing in their theoretical insight and the latest research expertise from their respective fields, as well as top-level practitioners driven by a real passion for education bringing in their practical insight and on-the-field experience. Top-of-the-line guests are also invited for additional workshops or sessions. Diversity in class in terms of gender, academic background and culture enhances your student experience. By being mobile across different European locations, you will be stimulated to adopt a broader market perspective and to leverage your capability to network and interact with diverse business environments. The Advanced Master in Innovation & Entrepreneurship will help you develop the ability to spot new market opportunities, to design suitable innovation strategies and to build a new organisation, while constantly experimenting your skills and creativity in very different settings. Fall term in Milan, Spring term in Brussels. 1) New Venture Lab: You will have to act as an entrepreneur to create a startup from scratch. 2) Innovation in Action Lab: You will have to run a consulting assignment in an established small or medium enterprise. During these projects, you will be individually coached by the faculty and professional consultants to maximise your on-the-job learning experience! In Milan, you will have access to in-campus facilities of fast-prototyping (e.g. 3-D printing, laser cutting and other digital manufacturing technologies). You can also ask for assistance from Polihub, the Politecnico di Milano’s business incubator and co-working space, which serves as a partner institution to this program. 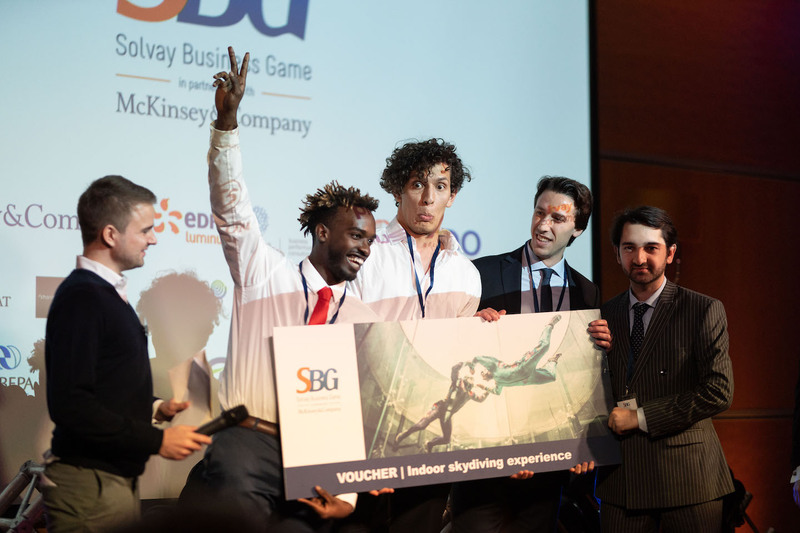 In Brussels, you will be coached by the Solvay Entrepreneurs team, (the entrepreneurship centre of Université libre de Bruxelles) and will have full access to its broad network of partners (Angels, VC, experts, entrepreneurs, incubators, public initiatives…). The 3 key words that defi nitely sum up my experience are: passion, network and quality, in terms of the classes that we have, the people that we meet and career opportunities that we have. Creating the perfect team, developing a Business Model Canvas, learning how to innovate your product, calculating the innovation rate of technologies of the future… When you are confronted with these topics each day, it definitely creates an environment where you are eager to start your own company! Professionally wise the master actually brought me a job ! During the master, we had to work as consultants for a company of our choice; so I ended up at that company and I actually never left. High potential people need to mix state-of-the-art management skills with entrepreneurial mindset. This is one of the core objectives of this program with a unique learning mix of knowing, doing and being capabilities. Instalments option for the tuition fees also available. Contact us for more info. “Advanced Master in Innovation & Entrepreneurship” university certificate delivered by Solvay Brussels School of Economics & Management – Université libre de Bruxelles. Specialising Master: “Advanced Master in Innovation and Entrepreneurship” delivered by MIP Politecnico di Milano.